We create your site and app optimized for the main search engines so that your services and products are well placed on the search engine results. When we build your website we design the architecture of your site so that your services and products are optimised for the main search engines. We integrate your app and site with Facebook, Twitter, Google +, Linkedin and other social media tools. We also manage your social media campaigns. We integrate your email campaigns inside your website or app. We also manage your email campaigns. We manage your PPC campaigns and online advertising. 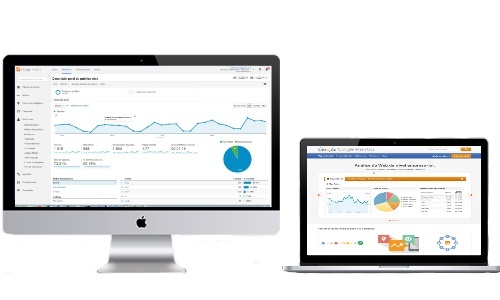 Management of analytic data from your sites and marketing campaigns. We also make A/B tests for website and page optimization. We provide training in Internet Marketing so that you can understand and manage your Internet Marketing campaigns.